“Hang on. 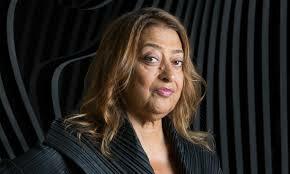 Did you know that Hadid had died? It was just on the news. . . . No. Of course you wouldn’t have. It would be too early.” That’s how the news came. News of death always strikes like the proverbial bolt out of the blue. One can always remember when and how. A chasm, a void, opens up in the continuum of life for one to ponder: ‘there but for . . .’ - history begins a new chapter. I was talking to a family member in the UK. I had got up early so as to not disturb her later in the evening. It was 4:30am here in Australia; 7:30pm there. Her eye caught the story as it flashed up on the television as we had just started talking - Hadid is dead: but life goes on. I was right to have risen early to catch her, as her day had been busy and she was tired. Her plans were to retire soon, shortly after a light snack for dinner: so we did not talk for long. After getting up early, it is difficult to go back to sleep, so I made a cup of tea to have with a biscuit and settled down in front of the television news channel as the eastern sky lightened. The kookaburras celebrated this change, as Muslim worship does more quietly, with a raucous cackling cacophony that we call laughing. Is it not reverence? Al Jazeera news was on. An overhead road under construction had collapsed in Calcutta. It was a truely terrible scene of chaos. 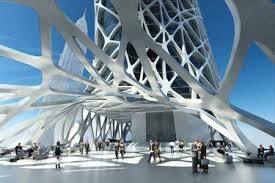 Next was the news of Hadid’s death complete with descriptions of her unique ‘curving’ architecture that has changed the world. It was explained that she had been admitted into hospital with bronchitis, but had died of a heart attack. This report was followed by the news of Ronnie Corbett’s death, aged 85, of gall bladder complications: the news always seems keen to give as many details as possible. Do not the dead deserve privacy? The Al Jazeera news finished, and the ABC News 24 Breakfast programme started. This beginning had never been seen before – 5:00am is not a usual time for watching television. The presenters looked jaded, bland. It seemed that they needed time to warm up, like a good motor; and indeed, they did settle into the easy chatty, relaxed banter that can be so annoying, but only after about twenty minutes or more. Was it the coffee sipped in between the recorded items that made the difference to these early risers? Headline news was Calcutta, with extended coverage of this catastrophe that included the strange report that the contractor has called the failure ‘an act of God;’ corruption was suggested as one likely cause that would be investigated. 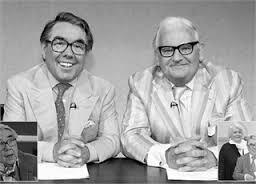 Then there was the news of Ronnie Corbett’s death. This too, was given extended coverage, complete with catchy clips of his appearances with Cleese and Barker. The news quickly moved off into sport, cricket and basket ball. There was nothing on Hadid’s passing. So the tablet was picked up. Maybe this news had not yet had time to to be included in the programme. The ABC News app was opened, ‘JUST IN’ was clicked, and the list was perused: nothing! So I flicked across to the BBC World News app. Surely this would have some coverage? No. Strange. 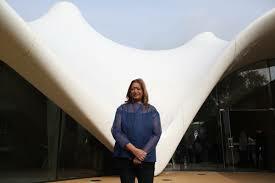 One was reminded of the lack of reporting in Australia of one of 2014’s great disasters, the fire in MacIntosh’s Glasgow School of Art: see - http://voussoirs.blogspot.com.au/2014/05/glasgow-school-of-art-burns.html Was Hadid’s death to be ignored too? What does this say about Australia? Is it an ignorant backwater rather than the ‘world class’ country that it thinks it is; tries to be? In Britain, one sees quality reviews and reports on architectural issues as a matter of course in some media. In Australia, one sees nothing of this unless there is some extreme drama of the ‘man eat dog’ type that can make quirky or provocative headlines, in the way that the Sydney Opera House saga had money and personality problems, and the architect’s resignation. Such events stimulate sufficient curiosity to encourage folk to purchase the papers, an event that seems to be on the decline: but this demise seems to have made the headlines get only more cryptically dramatic. Britain’s media also runs the annual ‘Worst Ten Buildings of the Year’ competition, if one can consider this a competitive phenomenon. Maybe it can be seen as the race to the bottom? This listing would be an impossibility in Australia with its colonial libel laws. Australia fills its news up with a few major clips gleaned from the rest of the world; some blurb about the local politicians playing about with words, time and money; and sport; and more sport. The commitment, enthusiasm and time is given over to reporting on sport, especially when Australia ‘kills, thrashes, or wallops’ the opposition. 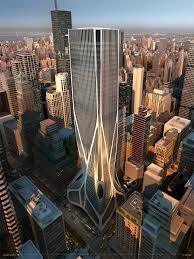 Matters to do with architecture are totally irrelevant. The ‘Arts’ get some coverage on the ABC TV specialist shows, but these are very few and far between. Architecture appears in the news more in its cliché usage than as a reference to the ‘art of building’ as the dictionary broadly describes it. One frequently hears about the ‘architecture of the economy; the architecture of terror; the architecture . . .’ of just about anything: see - http://voussoirs.blogspot.com.au/2014/06/the-architecture-of-architecture.html One never, well, very rarely, discovers anything in the media about architecture either locally or internationally other than in the hype of some Grand Designs copycat show, or the show itself. 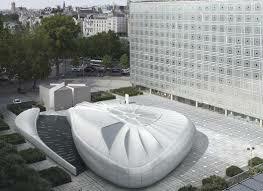 So it seems that Hadid’s sad passing will be for other countries to report; for other people to mourn. 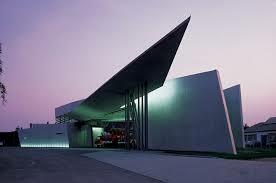 It appears that Australians are too engrossed in their sport to even be bothered with art or architecture. 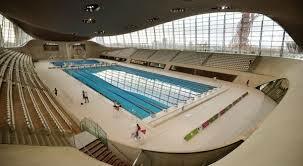 Britain is totally committed to sport too, but it has a broader scope of public interest than Australians: Melvyn Bragg, John Humphrys and others of this ilk - see: http://voussoirs.blogspot.com.au/2015/11/architectural-language-problem-of-hype.html - are frequently on radio and television raising significant matters for discussion, offering an alternative to the laughs, and the reading of listener’s tweets and E-mails in between the music and chat. Australians seem content with the truly careless “She’ll be right, mate” banter that holds the crude and rude belief that all architects are ‘wankers.’ It is sad because even within the profession, discussion, debate and critiques on architecture are close to non-existent. There is little like voussoirs that seeks out issues and ideas to develop and review. Most of the material published in the journals and coffee table books looks like hagiographic, self-promotion: see - http://voussoirs.blogspot.com.au/2015/06/ronchamp-rest-areas-and-meaning.html One local firm of architects has had its Wikipedia site removed for unspecified reasons included in a list of possibilities in the Wikipedia policy document: see - http://voussoirs.blogspot.com.au/2014/02/tensegrity-bridge.html One can only guess, but it seems likely to have been commercial propaganda that has caused the problem. Was it? The Al Jazeera news report on Hadid’s death did have some good coverage. 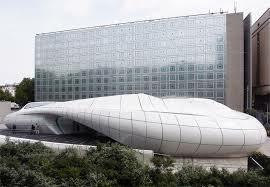 With no one knowing how to classify her work, it gets called ‘curving building,’ ‘a chaos that represents the modern dilemma,’ ‘spaces with various points of perspective,’ and other gobbledygook guesses. 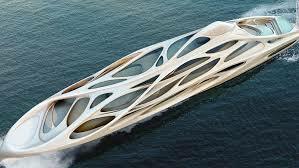 It is not helped by Hadid herself. 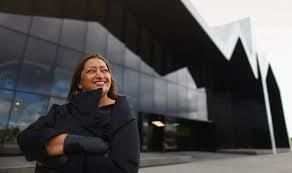 There was a clip on the news of her receiving the RIBA Gold Medal this year, 2016. The portion of her speech that was replayed showed her trying to describe her work, noting that her efforts have been to create a meaningful, sinuous, malleable architecture, with an urban quality, etc. It sounded as though she herself was struggling to place her own very self-consciously different work in the mainstream of life and being, when it really does stand alone, remote and unique, as icons might – no, this denigrates icons. Her work is like a series of performance pieces shaped to be observed, as if on permanent exhibition. One of the interesting series of occasions that have been captured for YouTube was the set of four presentations made to the client for the prestigious project in New York – the development of 425 Park Avenue. 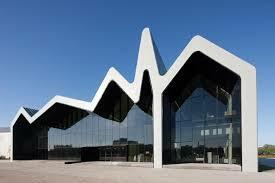 Rogers, Hadid, Koolhaus and Foster had been short-listed to develop schemes. Someone had the inspiration to record the actual presentations and put them on YouTube, unedited. They are very revealing with their ordinariness. 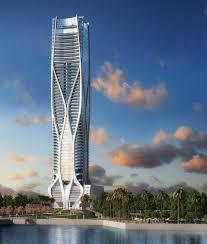 These four architectural firms that have generated such a name for themselves can be seen working in a real situation. It is excellent documentary material. The presentations are real eye-openers. Rogers looks sloppy, chatty and leaves most of the effort to his offsider who is free with clumsy clichés. 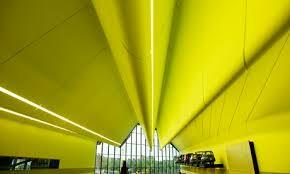 Koolhaus seems too involved in his own sculptural ideas, but does at least do all the talking himself. Hadid starts off with what seems like a strange rambling that is stepped into by her helper who proceeds to complete the banter with repeated jargon words. Foster was impressive, thorough and committed, professional, confidently presenting the scheme by himself with a silent assistant efficiently and effectively helping with panels and other graphic illustrations. Foster got the job. His was a beautiful scheme. 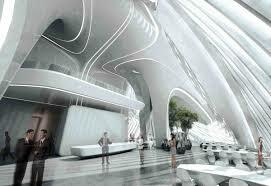 Hadid’s presentation was concerning. She seemed a little dazed, almost elsewhere as she leaned heavily at the table, looking unconcerned about everything, as though she was there as a silent figurehead to mark the brand. Her words appeared rambling, garbled. She was selling her scheme using the argument that there would be nothing else like it in New York, or the world. 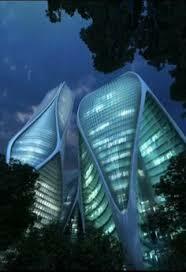 Her work, well, that of her office, had a boldly curvaceous tower form: it was an ‘Hadid’ building. As she babbled on, the assistant cleverly spoke over her fading, uncertain phrases and began his own detailed rationale for the proposal that was strangely unexpected. Well, let’s say that one expected more and better. Hadid just sat there for the rest of the chat looking a little bemused. 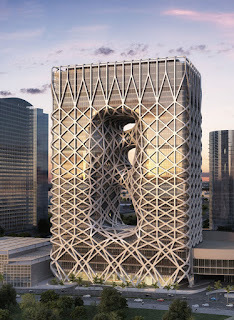 Ironically, it was in this unusual situation that Hadid categorised her work most clearly, as something different and unique, nothing else. Her attempts to use other descriptive terms that appear to try too rationally to include her work in the genre of the day when it doesn’t really fit anywhere other than in exhibition space, sound inept and self-consciously selected, having nothing substantial to do with the work as experienced. The catchphrases tumble out as a collection of loose, irrelevant architectural clichés that seem to have been sourced from the more general architectural debate. 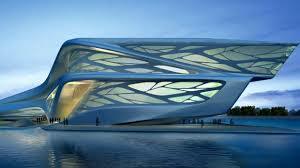 So how might one talk about Hadid’s efforts, for they have truly changed the world – whether for better or worse is another question? One can admire the boldness of her approach in the same way as one can criticise it as being indulgent, concerned with its own demonstrable display rather than the easy accommodation of comfortable, unselfconscious living. Her buildings are like clever toys, things to be played with by the eye; and fair ground rides, things that play with the experiencing body. There is a reciprocal interaction in the unique event, the prime function of which seems to be intrigue and excitement in difference. Her Glasgow Museum of Transport bemuses: see - http://voussoirs.blogspot.com.au/2012/01/pedestrian-approach.html and http://voussoirs.blogspot.com.au/2012/05/bell-and-fish-two-glasgow-museums-part_04.html As one moves through it, one is frequently more interested in the building than the display. This is one of the challenges of museums and art galleries: the accommodation of the interaction of items and place to the benefit of the items for which the place has been made. 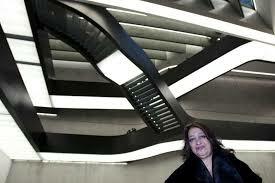 Hadid seems to have had no qualms about her concentration on the identity of her vision, its purity. Her little travelling art display building for Chanel that has now settled down permanently outside Nouvel’s Arab Institute in Paris, is likewise dramatic and eye-catching: see - http://voussoirs.blogspot.com.au/2012/04/hadids-art.html But here a closer inspection reveals crude solutions and scrappy details in places that are mainly concealed to the passing eye. 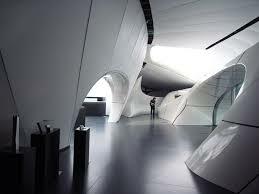 While the pure white, perfectly smooth shell astonishes both as a form and a fabrication, once one stands on tiptoes and looks over the top edge of the shell form from the entry ramp, a translucent tensile fabric roof for natural lighting is revealed. 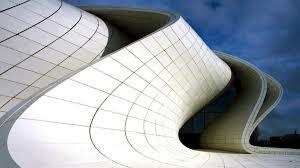 The collision comes where the shell and the roof meet at the gutter. Here great globs of sealant have been ladled over the joint in order, so it seems, to ensure that it will not leak again, such is the apparent determination and quantity in the application. 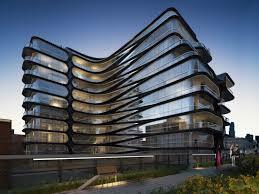 The critic of this text might respond with the retort that the owners love their ‘Hadid’ buildings. All that one can say is that this is understandable, as it is like owning a Maserati in amongst a sea of Fords and Toyotas. 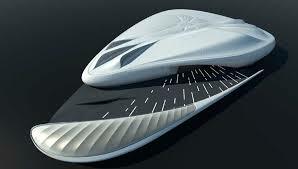 Hadid’s work is a unique brand that can promote other unique brands – see: http://voussoirs.blogspot.com.au/2015/10/faking-provenance-misuse-of-meaning.html Little wonder that big corporations love her work. Now, on her passing, one is left wondering if the brand will be perpetuated as it was after the death of Frank Lloyd Wright – very unsuccessfully. We saw Taliesin West reproduce the style stolidly, without invention, to create more and more poor shadows of Wright’s hopes. 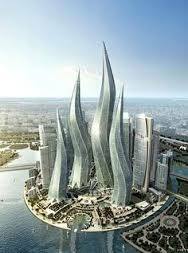 Will we get ‘Hadids’ like this in the future? 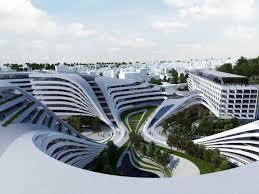 Hadid’s legacy - it is too soon? - will likely be her commitment to her ideal; her enduring and determined spirit. 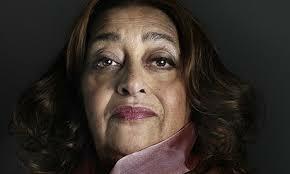 In spite of what one might think of her work, her achievements are truly astonishing. Yes, one can acknowledge this and remain concerned with her extreme strategies. It is always difficult to be dissatisfied with any commitment and rigour. The world likes the bespoke drama: such seems to be the essence of our age. One hopes that her example will not generate a mass of hysterical copyists who think that anything is acceptable if it can be drawn and built. Rather it is hoped that her efforts can be replicated: her earnestness and application; her dedication to a vision. 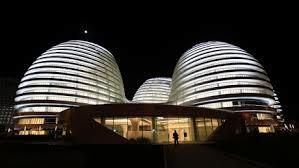 One can say that Hadid’s work was amazing, because of the boldness of its concepts, the skills displayed in its documentation, and the rigour involved in getting it built. A stroll through her Glasgow building shows a very self-conscious, deliberate building, one that is complete in its consideration of every detail. 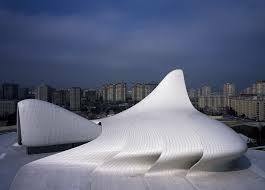 Hadid will be remembered: her legacy, her body of work, will remain an inspiration for all. 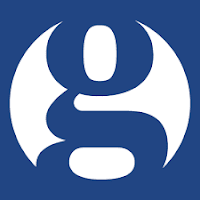 Later in the day I picked up the tablet and opened the Guardian app. Here, on the front page, if tablets can have a front page, was a lengthy and considered report on Hadid’s death. It takes the Guardian! It looks like the ABC just does not consider this occasion worth reporting in Australia. It has still not yet been noted.